School Portraits scheduled for September 19th! We apologize if anyone was unable to watch the 1:30 pm show due to technical difficulties. 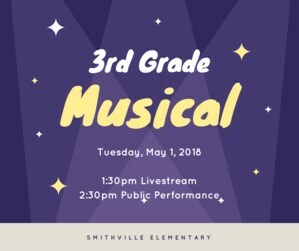 The second show was recorded and is available for online viewing at the address below. Our connection, Region 13 is experiencing technical difficulties. We will work to provide a secondary option during the 2:45 pm show. 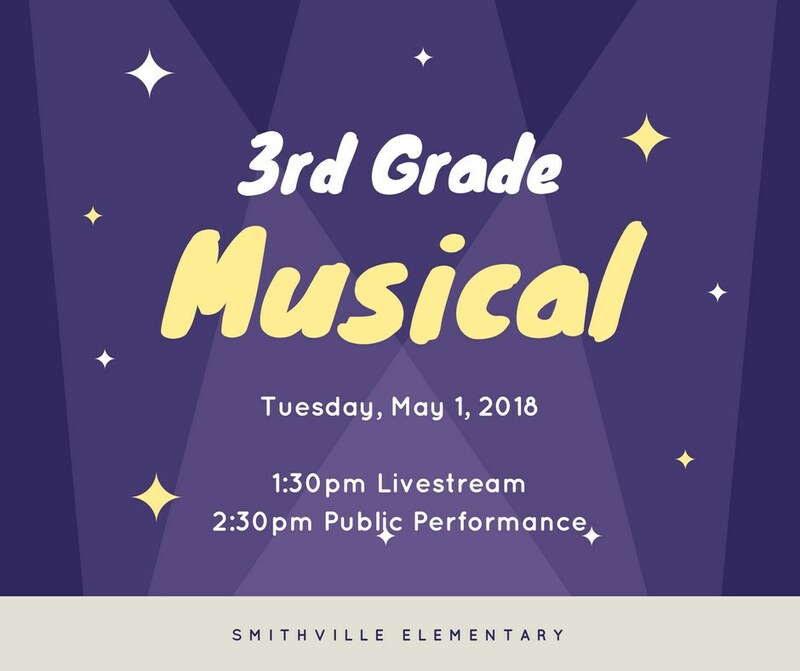 The Smithville Elementary 3rd Grade Musical will be livestreamed around 1:30pm and is accessible at the web address listed below. Login information is also listed below. Once you have logged in, choose Recent Videos in the top toolbar, then select 3rd Grade Program.